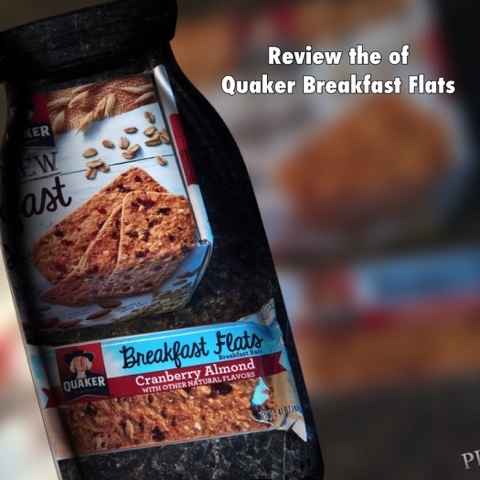 Quaker Breakfast Flats are a great go to for the busy mom. I am always rushing in the morning to get two kiddos dropped off at their locations and getting myself to work on time. There is just no time for me to eat at home. Thats why I really like the Quaker Breakfast Flats because I can eat breakfast on the go. I can eat them driving down the road and even at my desk. I was fortunate to get to try the Cranberry Almond Bars. They were really good. The bars had crunchy almonds and whole grain oats in them. I am a picky eater and they tasted great to me. I was shocked that the breakfast flats kept me full until lunch time, I was afraid I would need to grab an unhealthy snack when I got to work the first day I tried them, because I did not want to be hungry before lunch. But to my surprise I was not hungry. I totally recommend this product to anyone who is on the run or is looking for good tasting snack. The Quaker Breakfast Flats deserves.... 💛💛💛💛out of 5. Thank you Influester for letting me test this product for free. This was a test product but all reviews and thoughts were of my own.